Herbalicious Potatoes | Leo Tunapika? Potatoes, roasted, fried or baked , who doesn’t love them? This past weekend I debated whether to prepare chapatis or potatoes. Well potatoes won, and that is because hubby wasn’t around to influence the voting otherwise chapatis would have won pants down hi hi hi. 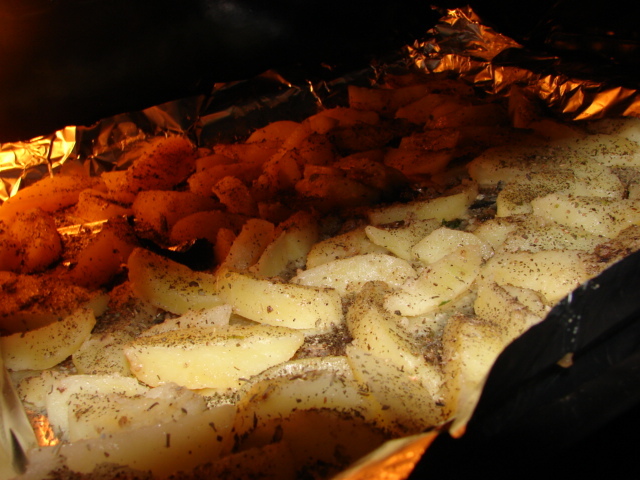 Since, we love potatoes that much, I try to prepare them in the most healthy way possible, so I normally bake them. When baking potatoes, I prefer boiling them first so as to give them a head start when it gets to baking. 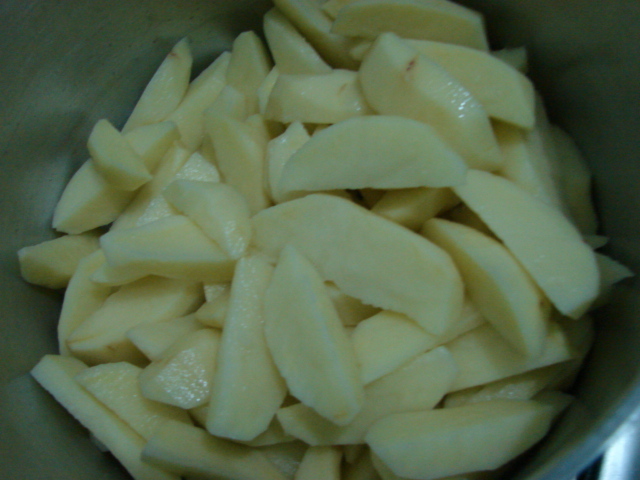 Place the potatoes in a sufuria, add water upto the level of the potatoes. Season generously with salt, black pepper and some of the dried herbs. Let the water come to a boil or till the potatoes are almost done. Take your oven tray, line it with some aluminium foil, this is to prevent sticking onto the baking tray and also makes clean even faster. Grease the foiled tray with the oil the sprinkle some of the herbs. Place the potatoes in the foiled tray. Ensure they are on a single layer then sprinkle the remaining herbs and pop it into the oven. I let my potatoes bake, till the outside was golden and all crispy. Currently I’m out of parsley and hence the use of other herbs, but on normal occasions I’d prepare this with parsley instead of sage. 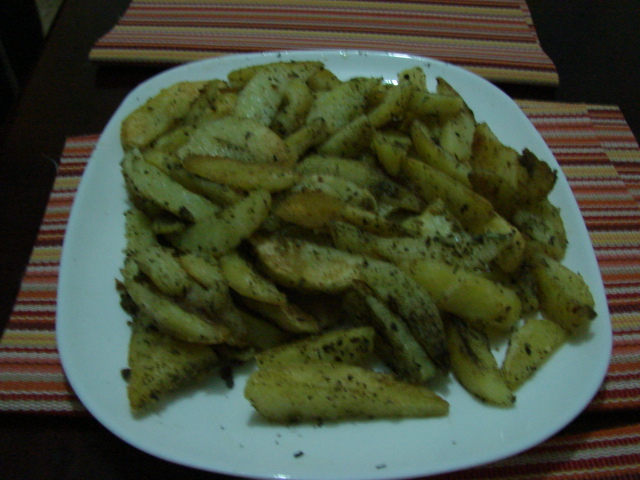 Delicious, the potatoes were not only crispy but full of herb goodness. They have to be the best baked potatoes I’ve made thus far “yippee” . Increase the quantity of the potatoes 😀 . We just couldn’t get enough of them. Previous PostEgg SandwichNext PostDid someone say Chinese? Finally!LOL.Don’t know how I stumbled onto this but hopefully you won’t ditch it like the others. he he he karibu, I also hope I won’t ditch it. So far I’m pretty psyched. thanks girl. try it and tell me how it goes. thanks for sharing this Jess, i love your creativity, i am currently undergoing my ‘wife in training’ in preparation for marriage and your posts are it! aww thanks girl. I’m glad to be of help. Pingback: Sunday Breakfast « Leo Tunapika? Pingback: Spicy Potatoes « Leo Tunapika?